We take our social responsibilities seriously but try to tailor what we do to suit the project we are working on, and the community surrounding it. We are committed to giving a proportion of our annual profits to charity. 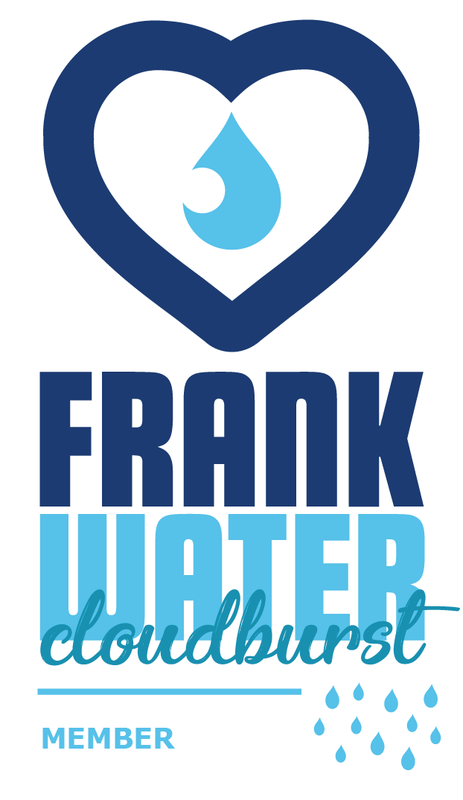 Following a successful year, we are delighted to announce that we donated £15,000 in February 2018 to clean water charity Frank Water. 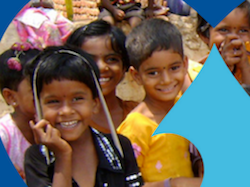 The donation will build a safe water system for the 60 households of Chelimaravalasa, India. Chelimaravalasa is a rural village in the Andra Pradesh region, and currently its only water source is a contaminated well. In 2016 we donated £20,007 to Frank Water. This funded a safe water project with tribal communities in the Eastern Ghats mountain area of India. The new Gravity Fed Water System supplies a village of between 300 and 500 people, and the project also delivered additional training in the local community. 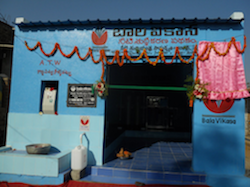 In 2014-15 we funded a new water treatment system in the rural community of Machapur village in Medak District, Telangana in Andhra Pradesh, India. This provides secure access to multi stage filtration technology to make their existing water sources clean and safe. 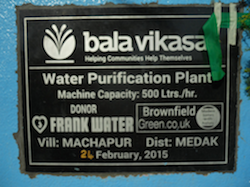 Almost 400 households in that village are directly benefiting from the 500 litre tank that Brownfield Green has funded, complete with sand, carbon, micron, reverse osmosis and UV filters. Other donations that we have made include £6,000 to Medicins Sans Frontieres in 2012-13 and a total of £4,500 to Medicins Sans Frontieres and Frank Water in 2011-12. We think these are both really fantastic charities where our donations can really help those in need in the poorest countries. We are really proud of our core team of employees and actively help our employees to develop their skills and hopefully become one of our long term employees. When we need to appoint subcontractors or new staff we always start by looking for sub-contractors and employees from the local area. This helps to minimise commuting and gives the local community opportunities to get involved, either as work experience, as a skilled sub-contractor, or full time employee. We think it’s really important to develop the skills of our employees, and work with them to help them achieve necessary qualifications in their chosen field. We also pay all our employees the Living Wage or more (as set by the Living Wage Foundation) and will be working on formal accreditation as soon as we can. When designing homes we always ensure they will meet good industry practice for energy efficiency. We endeavour to exceed current Building Regulations for energy efficiency to ensure that our homes have low energy bills. We use renewable technologies, not as a gimmick, but when it is felt they will make a real difference to achieving our energy efficiency objectives. We always aim to achieve an Energy Performance Certificate A rating and where this is not possible at least a B (unfortunately listed buildings cannot achieve this due to conservation requirements). Given the constraints of working with old buildings, we are really pleased that all of the properties at The View, Portishead, have achieved this B rating, a testament to the quality of the conversion and the high standard of workmanship of all involved. We believe in doing the fundamentals well – many renewable technologies can be easily added at a later date but good insulation and air tightness cannot. It is here that we focus – it’s not glamorous but it saves energy and ultimately carbon. We try to use local materials to cut down on the carbon emissions through transportation. We also use lime in certain situations as a lower carbon alternative to gypsum and cement based products. Our preference is always to use wood over plastic or steel as a building material to again reduce embedded carbon emissions. This approach is ingrained into our day to day building activities. We ensure that the great majority of our waste materials are recycled. We offer waste wood to the local community for wood stoves and fires and always try to find a home for waste that has a potential further use (such as rubble, good timber, steel etc) rather than just recycling it as waste. Spare materials at the end of a project are either given free of charge to the local community or offered for free on sites such as www.freecycle.org to the slightly wider area. 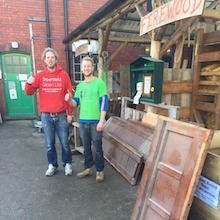 Brownfield Green donate any quality waste wood to the Bristol Wood Recycling Project, a social not for profit enterprise based in Bristol where it is then used to construct new furniture or sold. Any waste wood which is not suitable for them we offload to Boomeco in Avonmouth (a wood recycling company). The clean wood is then chipped and used for biomass heating boilers (some of which are based in schools in the local area). The poorer quality waste wood is then turned into chipboard furniture. None of the wood from our projects goes to waste. We are always looking to do more where we can – any ideas for the future are always considered – please contact us!